Space per pupil: 181 sq.ft. Today’s global economy and technological advancements of our society are changing the way education is delivered, as well as the way our schools are designed. The questions that arise today regarding educational design include: Are U.S. schools considered world-class facilities? Will these schools produce students who can compete in a global economy? 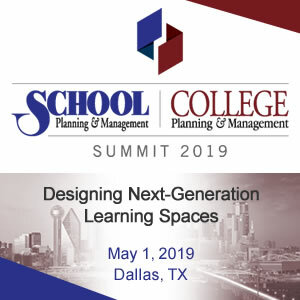 Most importantly, are the schools designed to foster integrated, project-based learning to help each student receive the skills they need to succeed as a 21st century student? 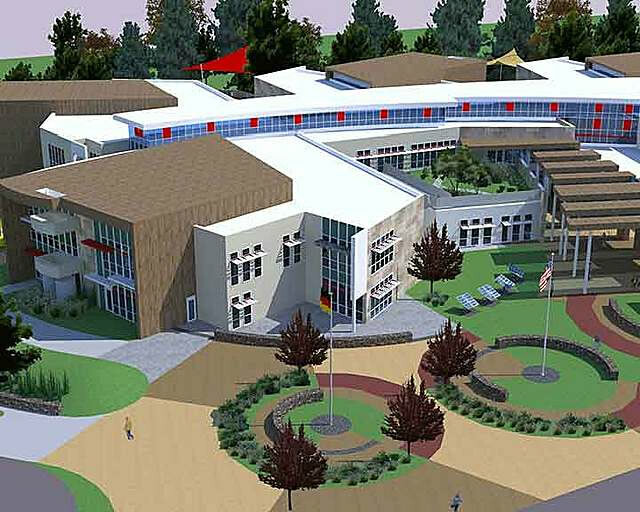 The design of Kaiserslautern Elementary School was centered on creating a learning environment that would give today’s students the tools they need to succeed in the 21st century. The innovative, academic facility is designed to foster hands-on learning opportunities through the use of state-of-the-art technology, flexible furniture and adaptable academic spaces. The school’s academic spaces are centered on extended learning communities which allow for flexibility in the studios to accommodate different teaching styles. Movable walls open to create adaptable studios to allow for teachers and students to collaborate and accommodate team teaching, testing, science and computer resource. Transparency between the studios and commons area creates a visual and physical connection and is facilitated through the use of glass walls to allow for additional natural day-lighting. The 21st century academic spaces are infused with state-of-the-art technology, including smart boards, overhead document cameras, writeable glass walls, and iPads. This is the heart of academia and consists of learning studios organized around a learning hub to create learning communities of different scales. Flexible homes provide adaptable studios for teachers and students to collaborate. Learning hubs are designed for multiple group learning opportunities, including one-on-one, smaller user group areas, and technology interactive learning through teaching walls, plug and play breakout areas and wireless networks. Every academic home includes administrative planning and work space which allows the staff can remain close to the students. The design depicts operable partitions between studios and the hub to allow for team teaching, and transparency of the learning hub. The group project area, one on one room and teaching collaboration spaces contain full height glazing to reinforce the transparency of the 21st Century educational philosophy. Dedicated wall surfaces are provided for the display of student artwork in various locations. Civic Presence - As community buildings schools should be designed with a strong civic presence and a clearly definable “front door” to create a civic identity for the school within the community. Safety and Security - Safety and security are paramount in today’s world. Reducing entry points into the school building and creating clear open lines of site and supervision assists the staff and administration in monitoring student behavior. Scale - This new elementary school consists of one and two story volumes. Windows/glazing, materials, roof elements, reveal patters, and color has been utilized to breakdown the scale of the building to a more pedestrian scale to compliment the scale of the adjacent housing components. 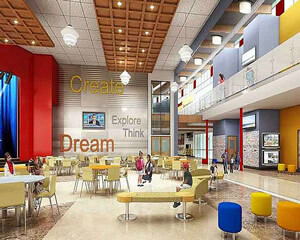 Aesthetics - The aesthetic concept for the new elementary is to “standout” within the context of the installation. The project will adhere strictly to the installation design guidelines but will push the design envelope. A 21st century learning environment requires a new approach to the current media center. It is an environment where students have the opportunity to discover, explore, produce information and products for the projects. Tablet technology has changed the learning process and soon books will be a novelty. With this in mind, the information center shall have learning hubs, be technologically-rich with a more virtual approach and therefore become smaller than the past. It is located directly off of the learning street and is lined with glass walls so the technology rich environment is always on display to the students and the community. The global resource center is a highly collaborative technology-rich environment where the student is connected to the larger global world. 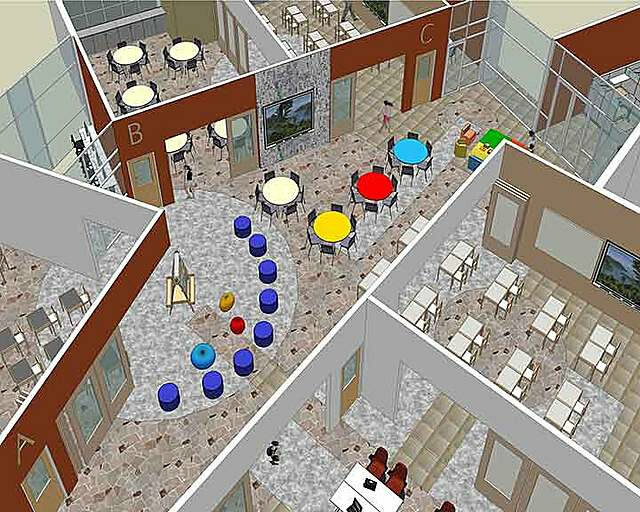 The learning street is intended to be dynamic space with direct connections to the learning hubs, global information center, foodservice, multipurpose room, and the outdoor learning spaces. The multipurpose room is directly connected to the learning street. During school hours the multipurpose room will serve as the dining space for the students. 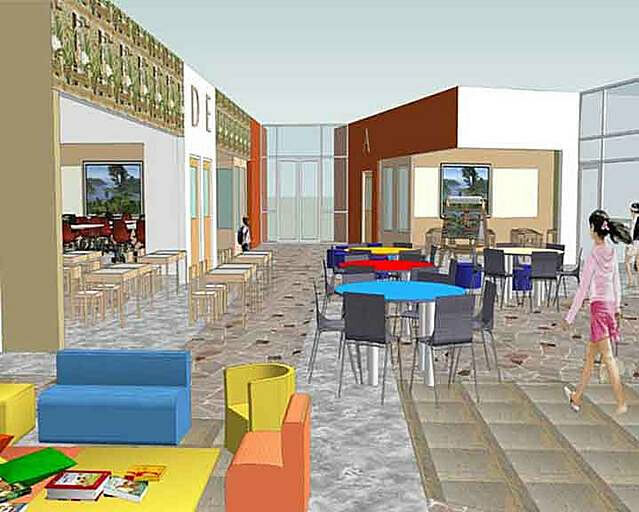 When a larger venue is required or an afterhours performance is occurring, operable walls between the multipurpose room and the learning street can open up to create a larger more dynamic space. The circulation areas around the learning street offer opportunities to create breakout/collaborative areas as well as opportunities to incorporate learning/teaching tools and display student work. The project takes advantage of the natural site that is situated next to a natural/wooded area. 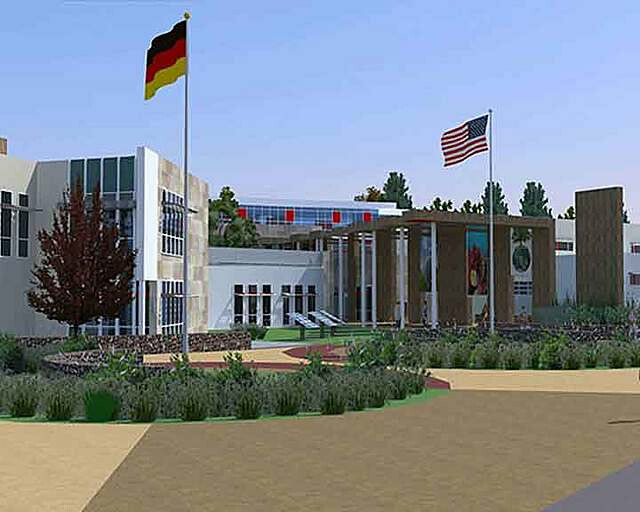 As you enter the site from the north a series of bio-swales and landscaping features layout a front plaza that draws you into the main entrance of the school. Each neighborhood has a direct connection to the wooded exterior learning environment through the use of cantilevered observation decks. The concept has been to introduce as much daylight as practically possible. Numerous studies have demonstrated the positive impact of daylight on education. Every educational space in the entire facility meets all LEED® requirements for day lighting. Day lighting design in Germany created an additional challenge for the design team. Per code, all occupied spaces in the facility must receive natural day lighting and ventilation. The school does not utilize any sort of cooled air system for ventilation of the spaces. All spaces are natural ventilated through the use of operable windows. This created a significant challenge when trying to layout the learning neighborhood with all the required spaces that must be arranged around a center hub. The unique and dynamic shape of the building is a very direct effect of the lighting and ventilating requirements. Wind Turbine - A wind turbine is located on the north end of the site and will be utilized to generate on-site power. Rainwater Cisterns - Rainwater cisterns are situated underneath the overhangs of all the learning neighborhoods. The rain is collected from the roof in a series of exposed pools that drain into the cisterns, creating a learning environment for the students. Roof Terrace - A roof terrace is located on the second floor and will be utilized by the students in their labs/studies and they will also plant their own food. Solar Array - A solar array is located at the entry of the school and will be utilized to generate on-site power. Bio-Swales - A seriesn of bio-swales have been integrated into the landscaping at the entrance and plaza area to the school. These swells help with on-site retainage of storm water while also creating outdoor learning areas for use in the student’s lab courses. Display/Learning Centers -Large electronic screens have been integrated to the walls at the entry of the school. This will be utilized to display learning information or can be used to display student work. Visible Systems - A majority of the spaces throughout the school will have exposed ceiling to allow students to see the inner workings of the systems that keep their environment running. Energy Dashboards - Another hands-on learning feature is the Sustainability Dashboard, which is located in the lobby, learning street, and every learning hub. Through this touch-screen interface, students and teachers can access real-time data on the school’s energy usage, solar power generations, wind power generation, environmental tips, and current, local weather information. Dashboards displaying the performance of building systems have been strategically places throughout the school. Competitions amongst students are encouraged to see which neighborhoods can conserve the most energy. Students will be able to pull this information up wirelessly from anywhere in the school on their tablets.